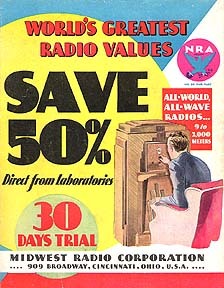 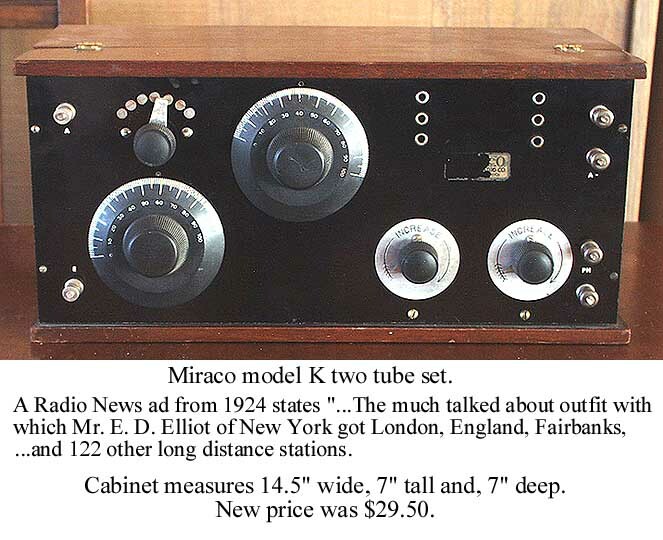 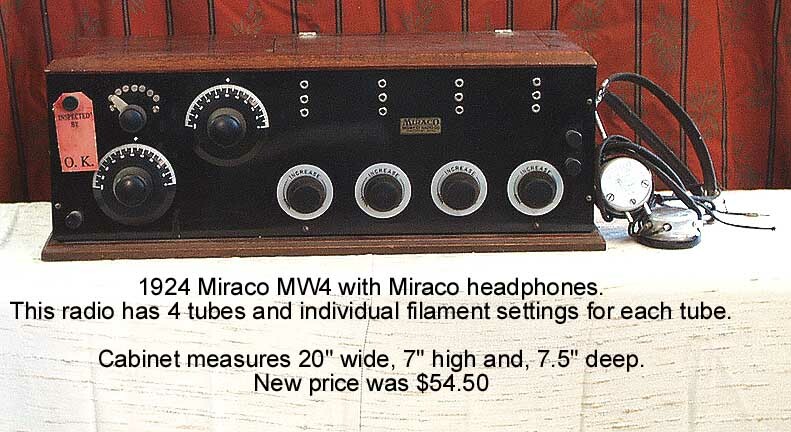 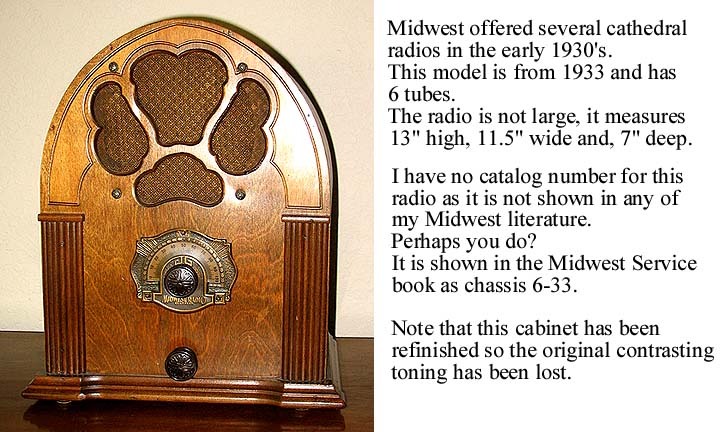 Clicking on the radio pictures will open a new page with a larger view and more information. 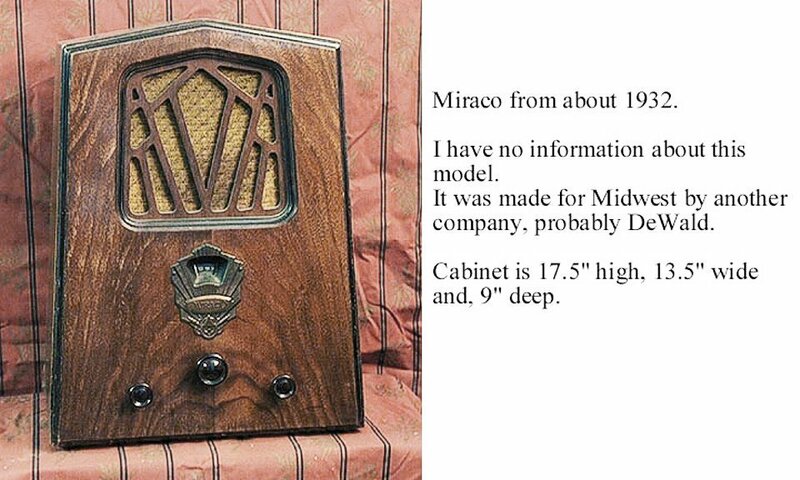 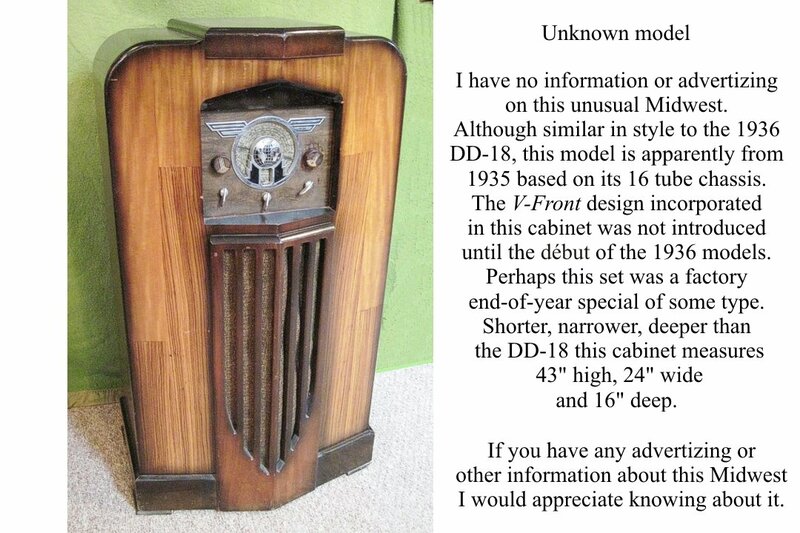 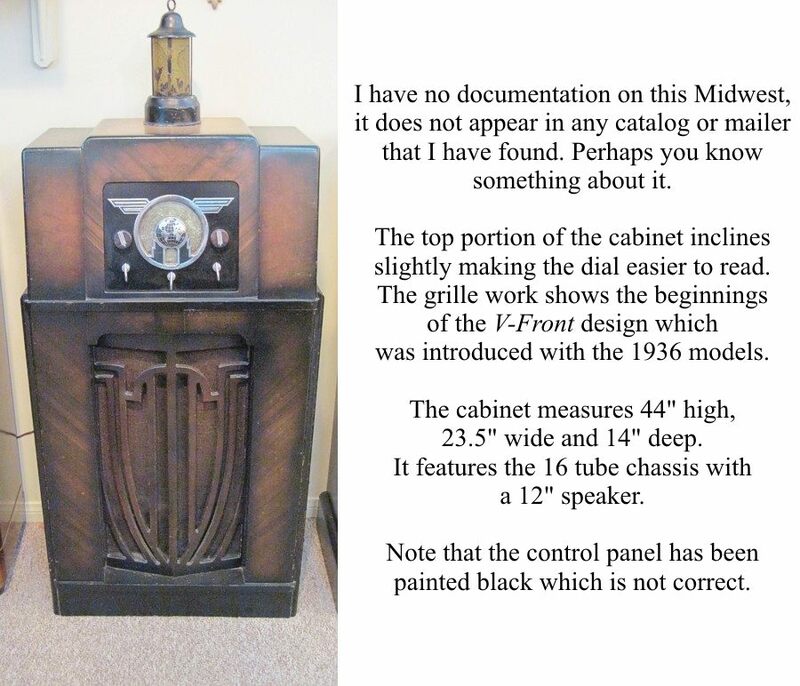 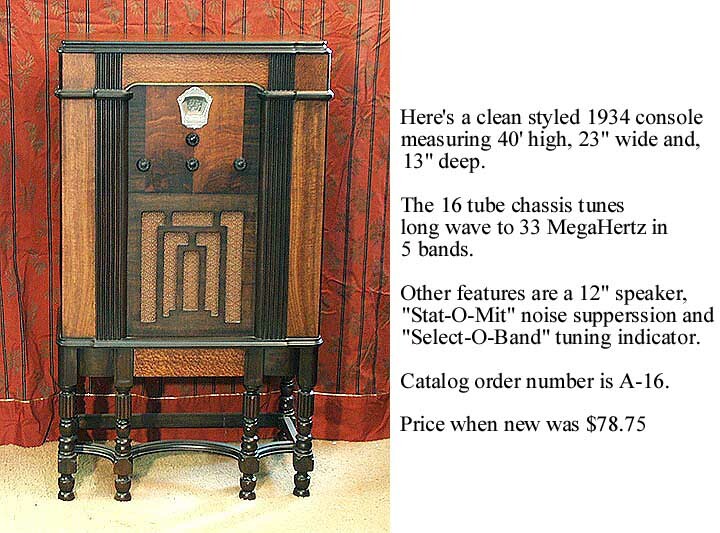 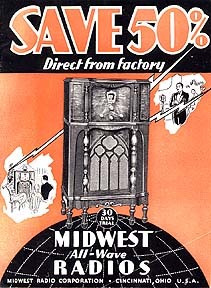 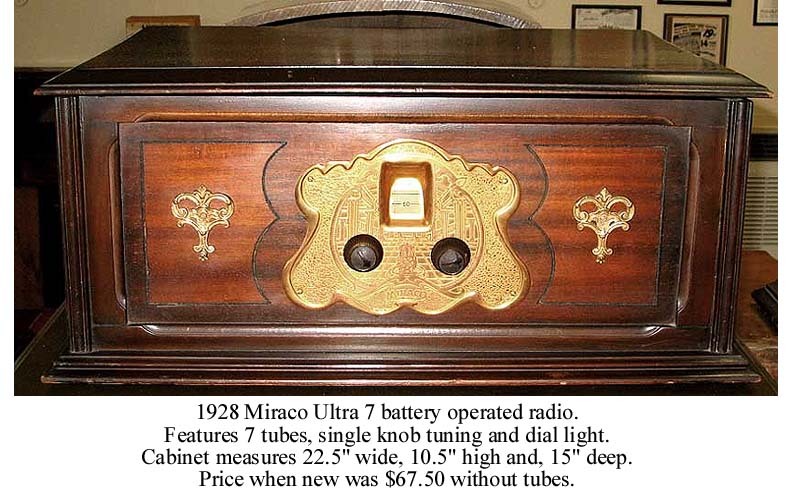 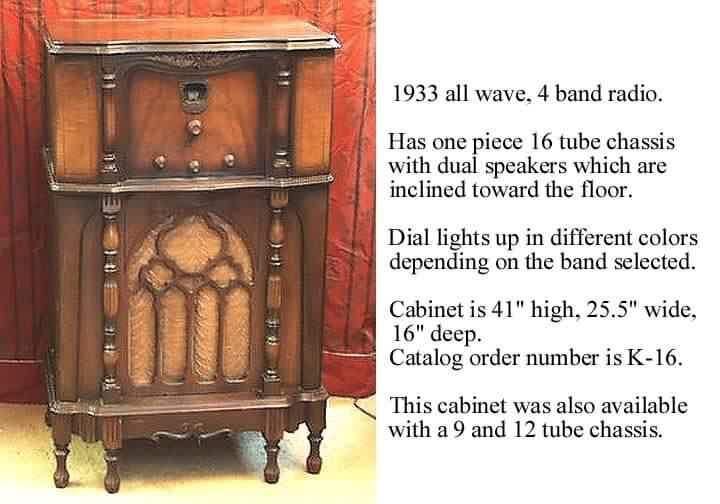 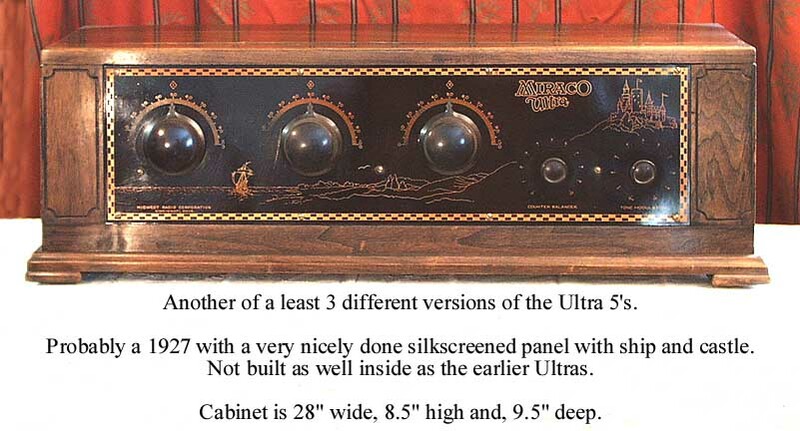 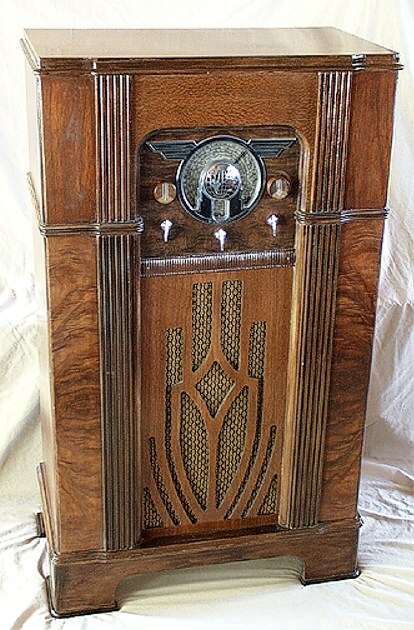 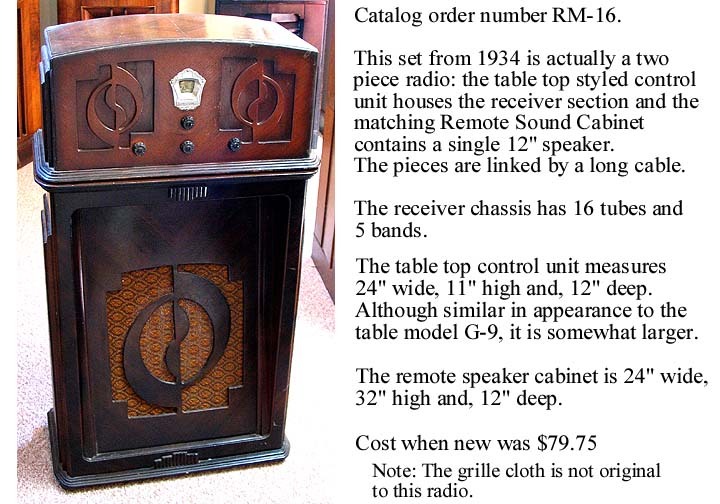 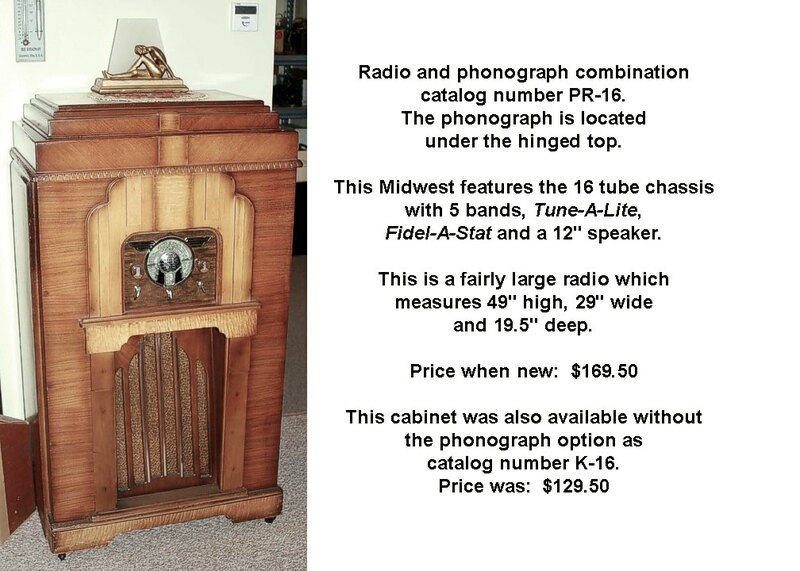 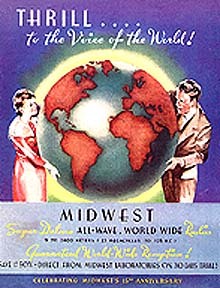 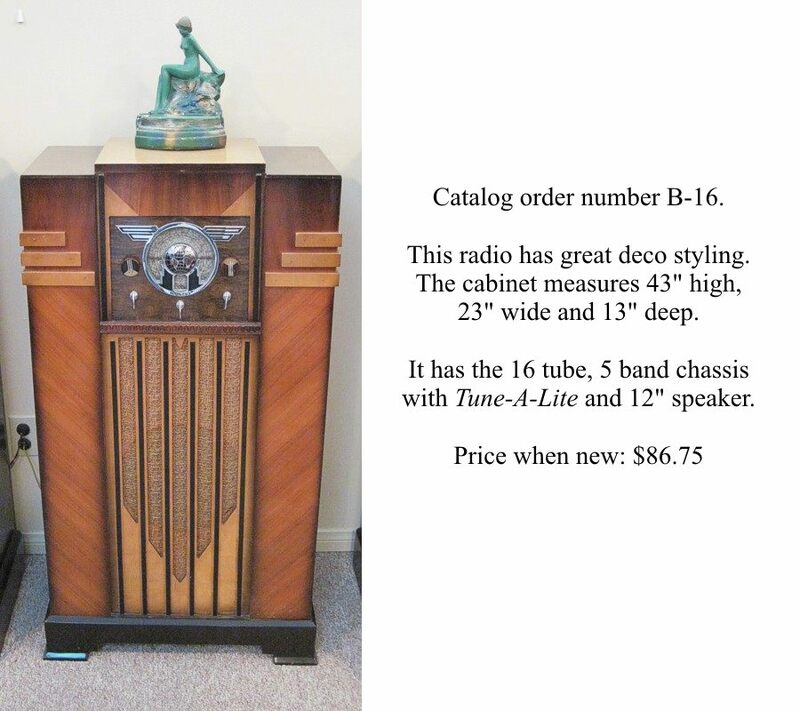 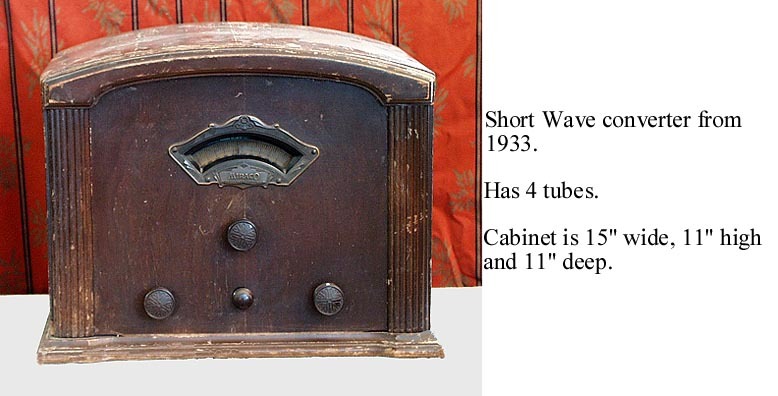 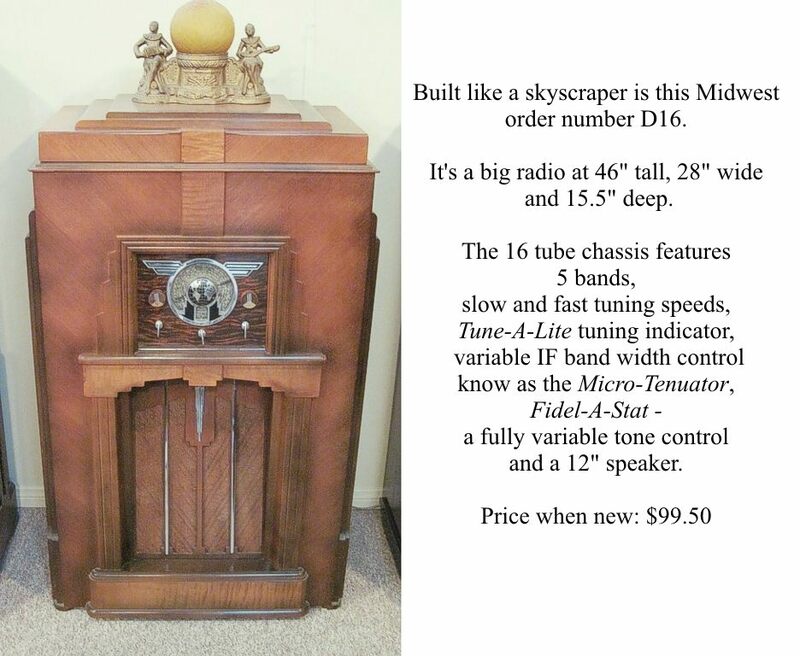 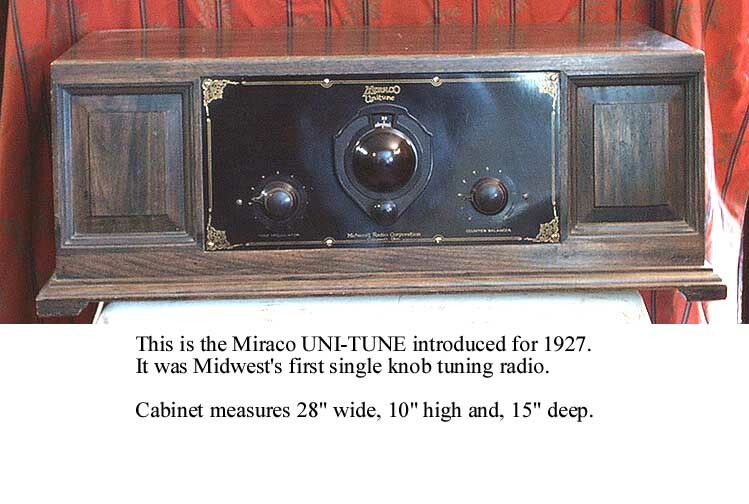 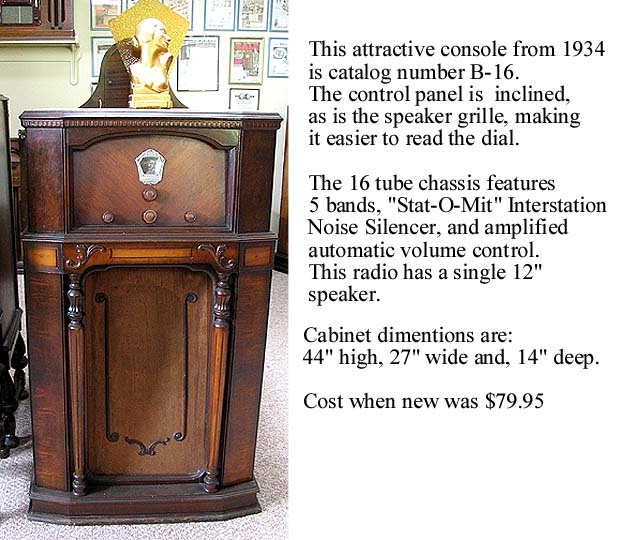 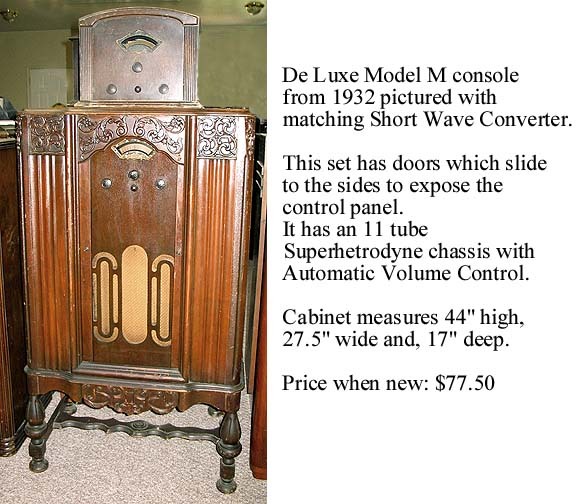 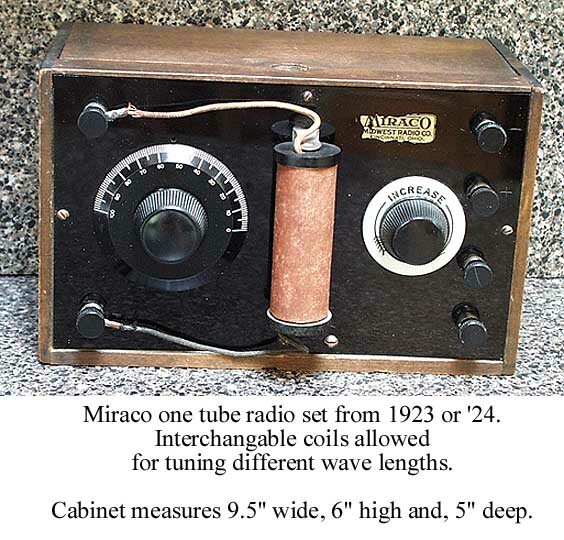 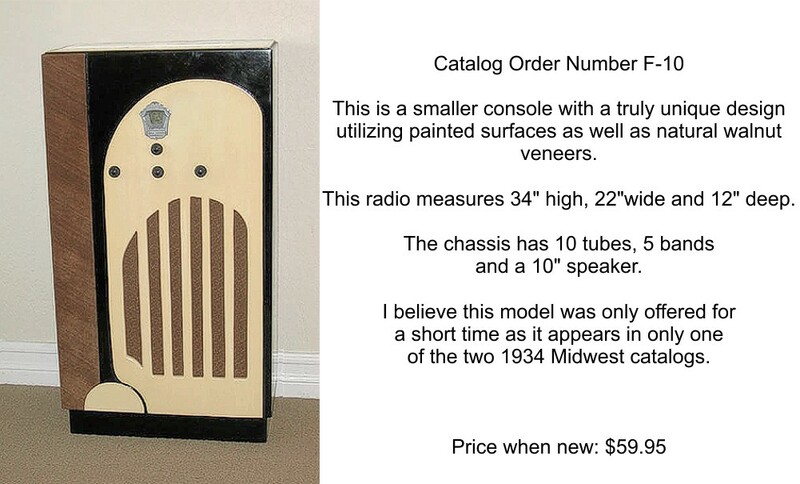 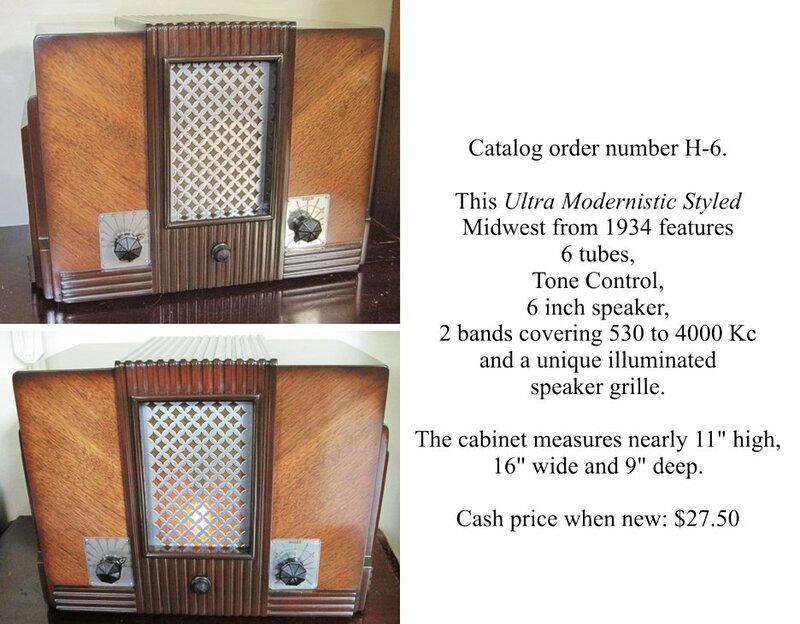 Nineteen-thirty-four was the beginning of Midwest's truly deco styled cabinets. 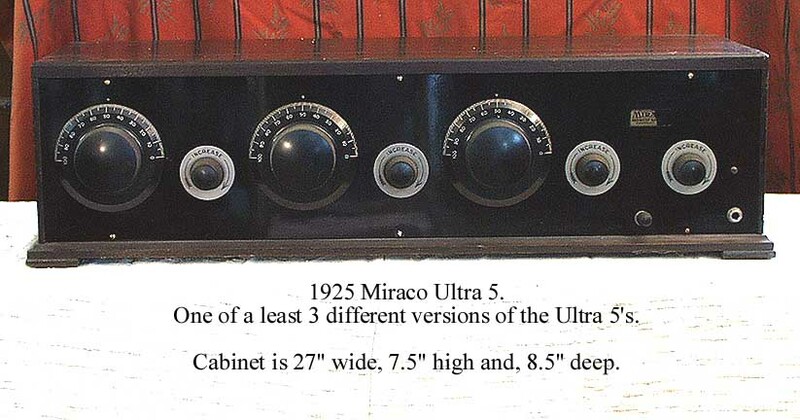 They also made some mid-year changes as evidenced by two versions of the '34 catalog. 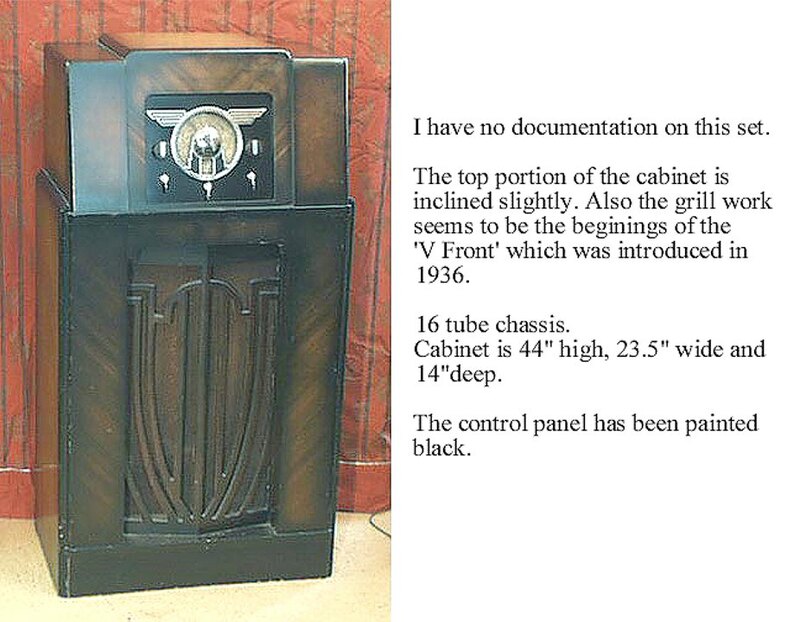 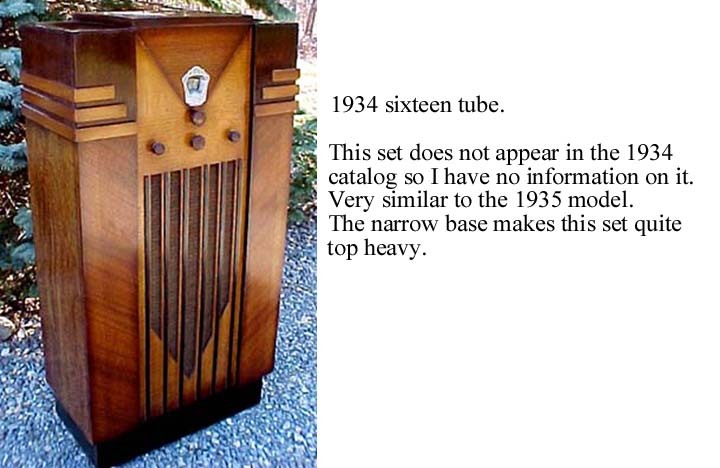 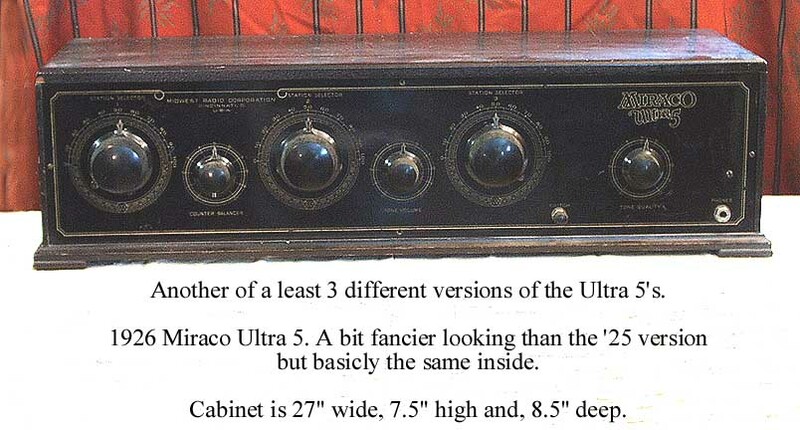 In the later printing at least one cabinet style is no longer shown and the 9 tube chassis has been changed to a 10 tube.